Harry Andrew Blackmun, 1908-1999. Associate Justice, Supreme Court of the United States, 1970-1994. 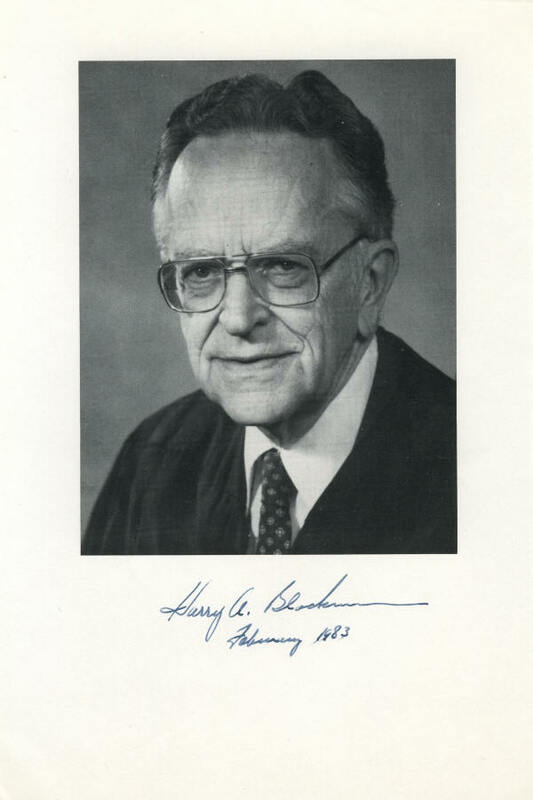 Mint condition 6" x 9" photograph signed, Harry A. Blackmun, and dated in his hand, February 1983. This is a very nice printed photograph on bookweight paper, typical of the photographs that Supreme Court justices have sent in response to autograph requests. Blackmun has signed it with a strong blue-black fountain pen signature. Click here to see other Supreme Court autographs that we are currently offering.